Now available on Amazon in hardcover! 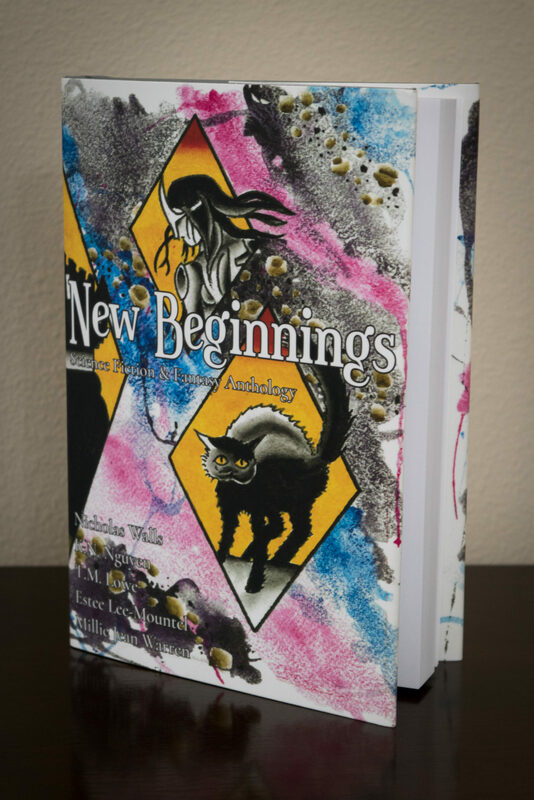 New Beginnings is a collection of science fiction and fantasy short stories written by five up-and-coming authors throughout the United States. This compilation showcases their first published works. Enter the lands where dragons don’t want to eat the princess, the dead don’t rest, and gods struggle to be heard. Prepare yourself as you embark on an adrenaline-fueled ride through uncharted territory as you navigate your way through the literary jungle. Whether it’s dodging bullets, a butcher, or a barbaric king, the twists and turns will leave you begging for more. 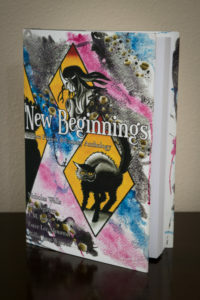 New Beginnings is a science fiction/fantasy collaborative work by five breakthrough authors. Join them as they guide you through the worlds and into the wild of their imaginations.